It’s a little nuts what ‘grassers like to do in order to play a few festivals. 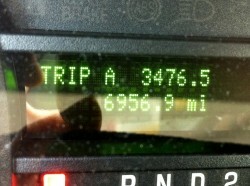 Our May run gave us the pleasure of 3,476 miles in the van. 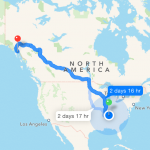 Kyle figured out that we could’ve just gone ahead and driven to Alaska instead. But we think Gettysburg, DelFest, Acoustic Cafe, and the awesome venues were worth every mile! Like so many guitar players, I’ve used D’Addario strings for years and years. I’m proud to be an official D’Addario “artist.” Check out my D’Addario profile, here. Royal, John, Christian, and Kyle all play with D’Addarios, too! Our May touring season is underway! 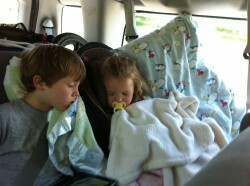 Preschool graduation Tuesday, hop into the van with Mama Wednesday. Had a great time pickin’ in Southwest Virginia last night, and looking forward to this weekend at Gettysburg Bluegrass Festival, Hill Center for the Arts (DC), Drum & Strum (Warrenton), & Ashland Coffee & Tea (Richmond)! Looking forward to having Jarrod Walker join us in May! 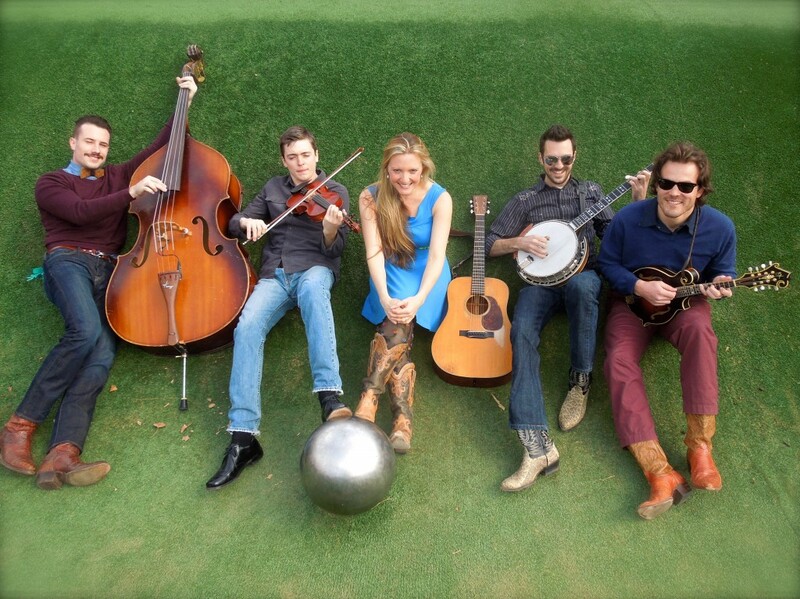 We know that our audiences this May are looking forward to hearing the tasteful and toneful singing and picking of mandolin meistro, Jarrod Walker. 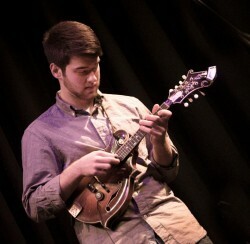 Regular mando guy John Frazier is busy touring with Yonder Mountain String Band and his own FrazierBand. But we are honored to have this talented guest star onboard for our Mid-Atlantic dates and festivals this month! 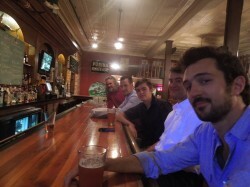 Jarrod’s known for his work with Missy Raines, Clay Hess, his brother Cory Walker, among others. If you read this and have something nice to say about Jarrod, please make a comment on our Facebook page under Jarrod’s picture. It won’t go unnoticed! 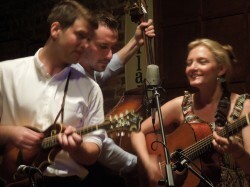 Rebecca and band on Bob Edwards Show, Tune In Tomorrow! 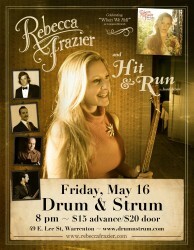 “Beautiful voices, compelling songwriting, and expert musicianship: listeners encounter all of these attributes from the very first song of Rebecca Frazier’s album When We Fall. With this record, the Virginia-born musician roars back from a personal tragedy and a ten-year recording absence. 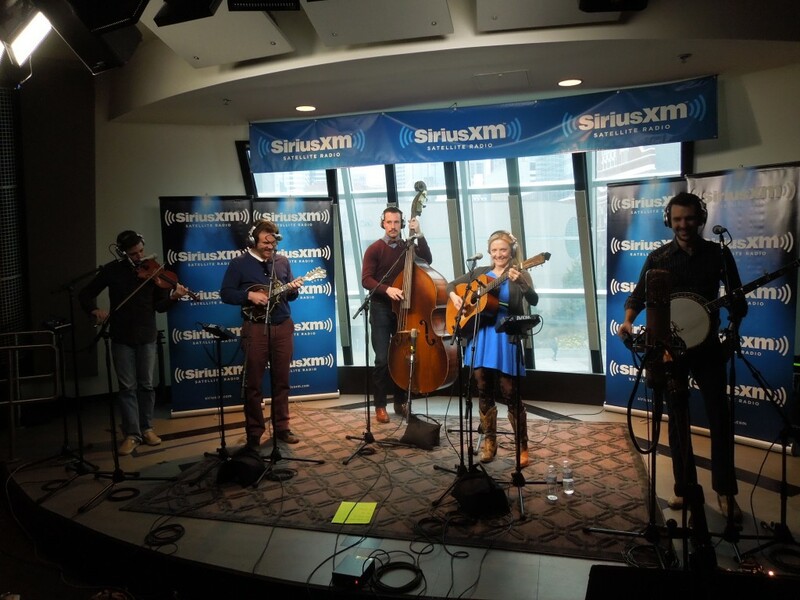 Frazier and her superlative band, including her husband John, join Bob for a performance from Nashville’s SiriusXM Studios.” For more info, visit Bob Edwards Show site, here!